Designed to go over existing treads. Revolutionize the style of your stairway with the 8074 Craftsman Replacement Stair Treads. At StairSupplies™, our woodworking experts craft these classic replacement treads out of the highest quality wood available, emphasizing strength and beauty in every step of construction. Craftsman style shines through thanks to clean, mitered corners and gentle roundovers on the edges. Transform your stairs with a makeover you’ll always enjoy! Replacement treads are crafted with a thinner ½” body and thicker 1” Front Nosing. This design gives the appearance of a thicker tread, while maintaining the appropriate tread thickness for compliance, safety, and ease of use. Any side of the 8074 Craftsman Replacement Stair Treads that will not touch a wall is fitted with craftsman-style trim. Returned Edges cover end grain, while also adding decorative flair. There are three configurations of returned edges available to cover the exposed edges of 8074 Craftsman Replacement Stair Treads: Left, Right, and Double. NOTE: If both sides of the stair treads fit against a wall, you do not need returned edges. To determine if a Left or Right Returned edge is required, stand at the bottom of the stairway and look up. If the right side is exposed, then you need a Right Returned Edge. If the left side is exposed, then you need a Left Returned Edge. Double Return stair treads are needed when both edges of the tread are exposed. This style of tread requires a special measurement called the “throat cut”, which you will need to provide when you place your order. 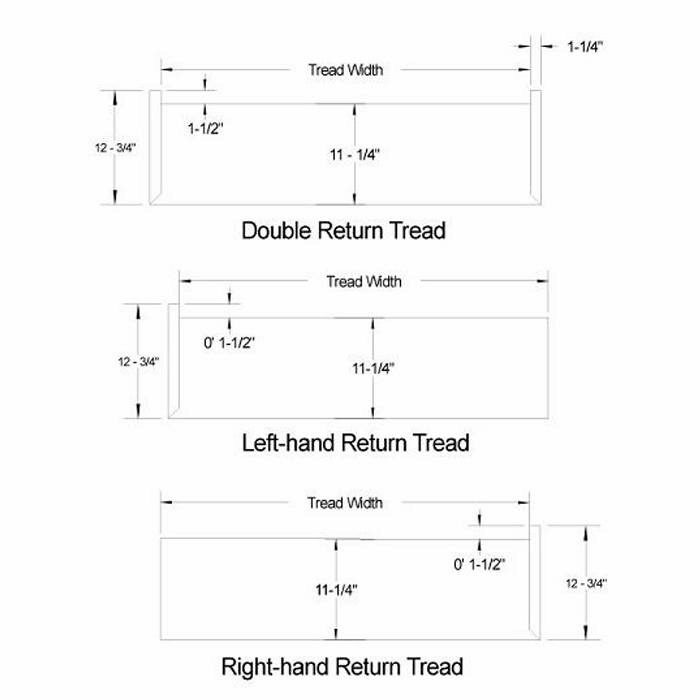 To find the throat cut of your Double Return tread, measure the length between the inside of the Left and Right Returned Edges. With the exception of Double Returns, all Left, Right, and No Return Replacement Treads are sent to you with up to an extra 1” of material on the end with no return. This additional allowance may be trimmed on-site to match the exact curve of your unique wall, ensuring a snug fit. Replacement Treads are designed to slide on top of existing stair treads. A consistent rise from step to step is important for safety and most codes require treads stay within a ⅜” zone of uniformity. StairSupplies™ replacement treads, when installed correctly, comply with most code requirements. Be sure to check your local code specifications before purchasing Replacement Treads. Need something different? No problem! At StairSupplies™ we create custom stair tread lengths, depths, and widths every day. Use our Custom Replacement Stair Tread Designer to order the stair treads that will fit your home perfectly. We are happy to accommodate your custom dimensions. 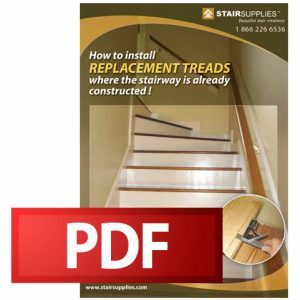 Please use the Custom Replacement Stair Tread Designer to order treads that will fit your unique staircase. Give us a call if you have any questions! StairSupplies™ offers several premium stain and finish options for our products, depending on the product’s use. 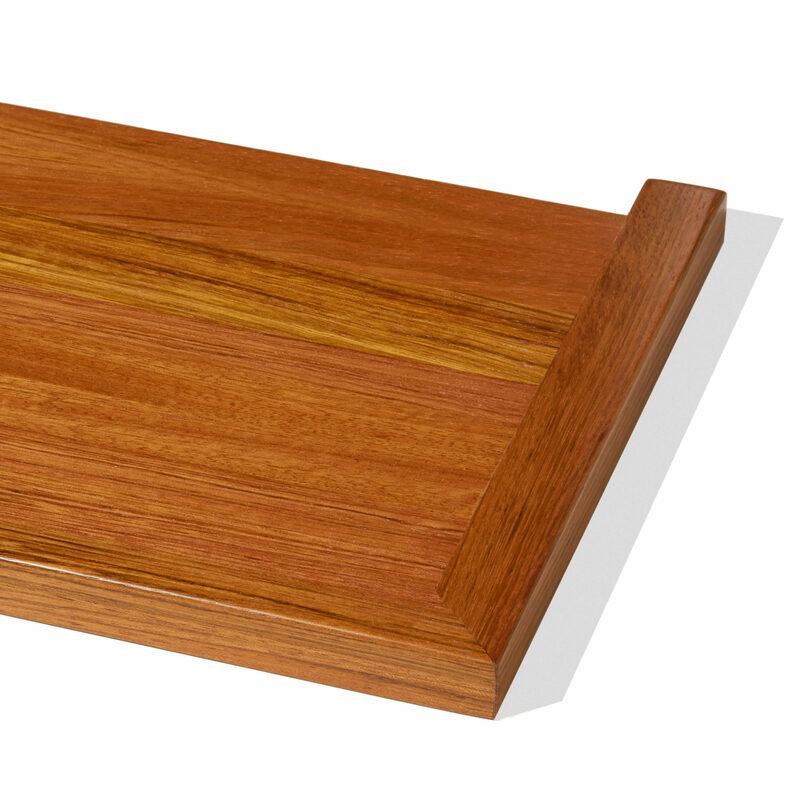 For Replacement Wood Stair Treads we offer both clear finishes and stains. Select a clear finish if you want to draw out the natural beauty and colors of the wood. If you prefer deeper, richer tones, our custom-mixed stains are the ideal choice for your Replacement Wood Stair Treads. All tread materials and products that are used underfoot are finished with a Conversion Varnish. 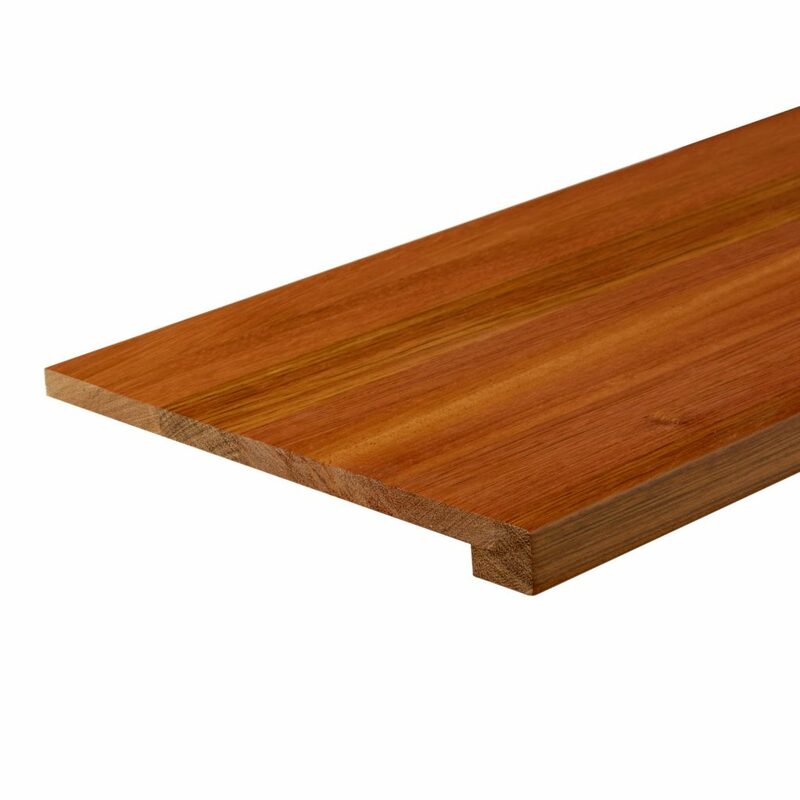 Strong and resilient, this varnish is standard in the hardwood flooring industry. Our team of experts apply this specialty product onto each stair tread using a spray applicator for even, flawless coverage to protect your replacement treads against heavy wear and tear. do you look at the tread facing to the top of the stairway to decide if it is a right or left return, or is it looking from the top of the stairs down? Are your prices Canadian or US dollars? You need to stand at the bottom of the stairs and look up in order to determine left and right hand returns. All prices are in US dollars. Thank you for contacting us. Yes. We are able to manufacture treads wider than 72″. These would be considered custom products, and we would ask that you contact us directly at orders@stairsupplies.com with your specific needs. We can then provide you with an accurate quote for this custom tread. What is the difference between the 8074 Crafsman and the 8073 regular tread? Thank you for your question, Panos. The primary difference between the 8073 standard tread and 8074 Craftsman tread is the nose of the tread. The standard tread has a bullnose (rounded) nose, while the Craftsman series tread is a squared nose. 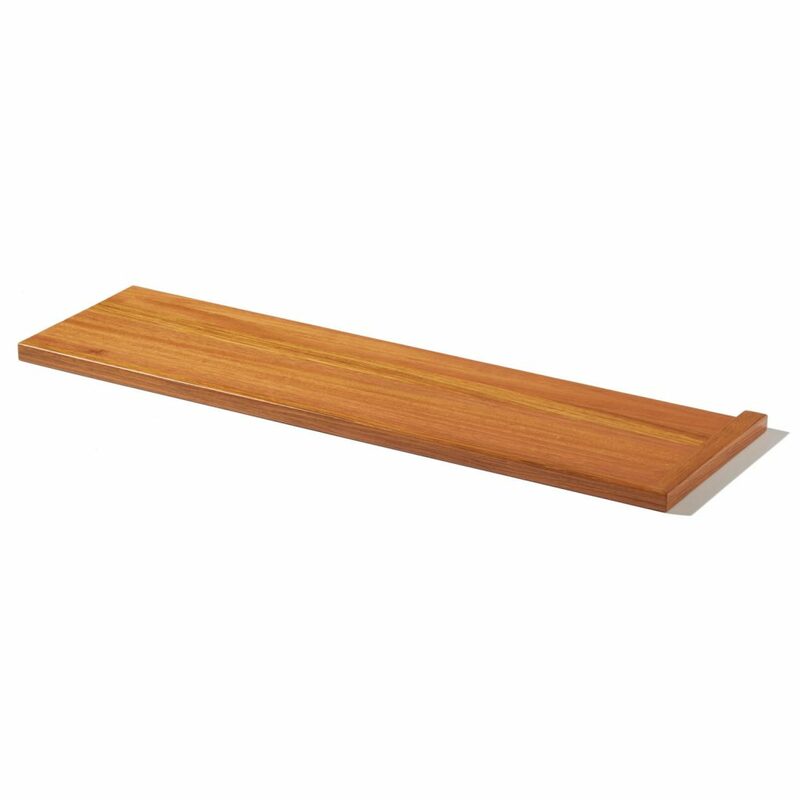 Hi is the 8074 Craftsman Replacement Stair Tread front nosing edge a Square edge or 1/4″ or 1/8″ roundover edge? I like the webpage sample picture style but looks like it may have a slight roundover edge to it? Since I will be ordering a combination of the precut 8074 and several custom sizes, I wanted to make sure I get the correct nosing matched. Thanks. Thanks for the question TN. Our 8074 Craftsman Replacement Stair Tread has an 1/8″ roundover edge. 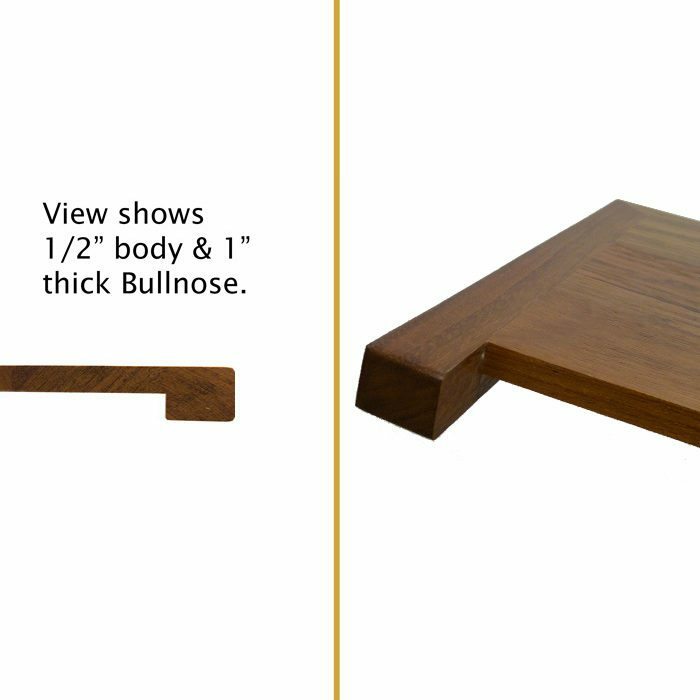 You can call one of our specialists at (866) 226 6536 if you want to confirm that your pieces will match up. Thanks for the question Ray. We can ship some products to Canada, depending on the size. I would recommend calling one of our specialists at 1 (866) 226 6536 to talk about the specific products you would like to order.